ADJS Building Maintenance Offer wide range of service that include House cleaning, Power Washing for Commercial & Industrial, Roofing, Warehouse Cleaning, Power Washing Store fronts, Sidewalks, Parking Lots, re roofing shingles and roof shakes, Tile Roofing, floor stripping, house cleaning service. We can clean rental houses and Basements. If you are renting your house or basement and need cleaning service as agreement. We will do those for you when renter are moving out. Our prices vary depending on House, Apartment Indestrial or Commerical building size and frequency of the service. We guarantee our rates will be competitive and you will be satisfied with our services. 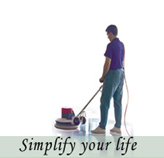 We will happily provide you FREE estimate for our house cleaning services. Residential Power Washing, Industrial Pressure Washing, Gutter, Siding, Decks, Driveways, Office Buildings, Restaurants, Stadiums, Schools, Parking Garages, Apartments, Condos. We understand that you want to keep your business looking its very best and having power washers maintain your property will help maintain your well respected reputation. » Roofs, Siding, Decks, Patios, Driveways Sidewalk etc.